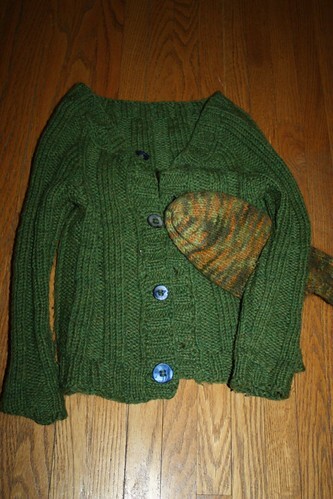 It is my five year anniversary of signing in to Ravelry! 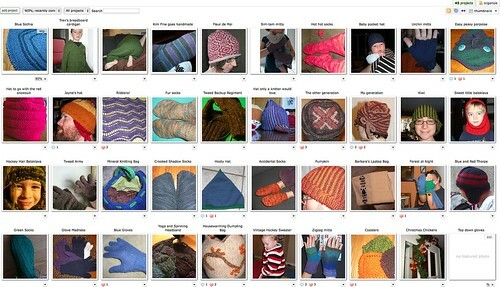 By now I have forty something projects listed on my Ravelry page. Let’s see how some of these stood up to time. 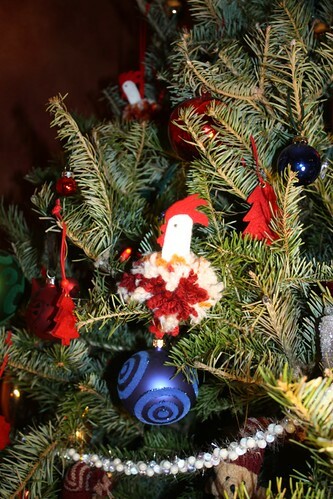 Well, they are a bit plucked, particularly those missing the hanging string, but they still make it onto the tree every year. No hanging string? They just sit on top of the branch and hold on with their tiny pipecleaner legs. My first two attempts at socks went miserably wrong. The second green sock never got made and, though the fur socks were technically well executed, I was not sorry to see holes in them within weeks of commission. I understand why people make sweaters from the fur of their beloved dog, but as I have never met the possum that donated this fur, I can only say thanks but no thanks and I’ll stick to wool for now. These were my first truly successful socks. I love the pattern and the yarn was lovely. I would go to parties and show off my socks. That might have been a faux-pas with non kniters but whatever. Eventually though the yarn got a bit too fuzzy and, with exception of the bottom of the feet which are still nice and shiny, you can’t see either the tidy slanted stitches or beautifully subtle colour variations. I don’t really wear these any more, they piled so much they actually look like I’m walking in fog, and they are not half as comfortable, easily washable or even easily replaceable as commercial merino socks. If I learned anything from my failed knitting experiments, of which these two sweaters are perfect examples, is that you really have to go all out. I was intimidated of making a sweater so I picked boring patterns and cheap yarn. How I managed to forget that I dislike anything boring and cheap is beyond me. Anyhow, both sweaters have been worn less than half a dozen times and then put away for good. 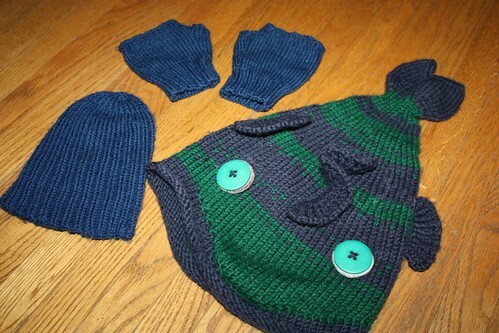 One good thing that came out of the green sweater debacle is that I made a sweater for Trev with leftover yarn. Technically the sweater is sucky because I could not be bothered to tear back and fix small mistakes which I would have done if I was not fed up with the crummy yarn, but it still looks cute on any of the kids that wear it. It is warm and snug fitting making it the best choice for camping or skiing when baggy cotton sweaters they usually wear do not cut it. I like lace, but this particular pattern with this particular yarn just did not work. I wore this scarf for a couple of months before I lost it. I don’t even feel particularly bad for losing it. 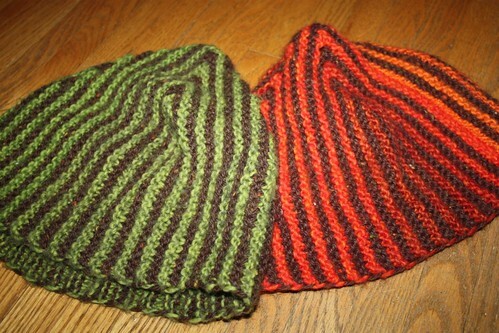 I used one pattern for the shape of the hat and another for the colour work. It took some recalculating and some luck but I just love how this hat turned out. I like that it is thin enough to wear under helmet and that it does not take up too much room in my pocket or purse. When it is colder I can match it with an exercise cap or even balaclava for extra warmth. 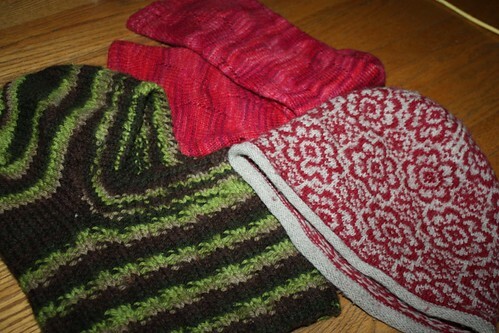 The yarn piles a little, enough to give the hat a cozy look but not enough to spoil the pattern. I am very pleased with both of these hats. Trevor wore the fish hat for the whole season. It is not the warmest hat so I am glad that he wears padded fleece hats instead. He still wears the fish hat now and then. It looks great after all these years. Markus’ pocket hat is too small now, but it did get quite a bit of use both by Markus and the little girl down the street after we’ve misplaced it at their place and her mom though it was one of theirs. The in-between season in Ottawa is really short but the Urchin mittens get used every year. They are simple and cute and it always make me smile to see the kids wearing them. For a joke hat this thing gets worn occasionally. These were super easy and fun to make and they look good even after all these years. They are not very warm so they are not full time hats but they do get some love particularly when Chris goes out to shovel snow.